iCapture has released a new feature that centralizes the setup of the collection of your customer contact data. 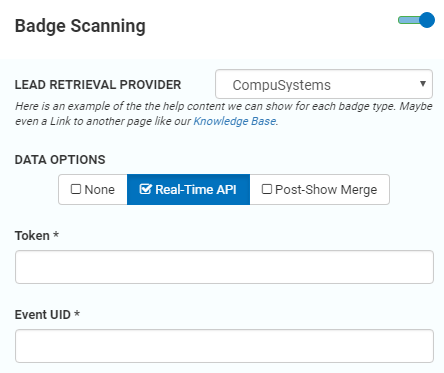 With the new Contact Container you can enable Business Card Capture and your Badge Scanning options in a single question type instead of multiple question types. When creating a questionnaire based off of a template or previous questionnaire you will no longer be asked to select your Contact Capture method. Instead, you will edit a the new container to select the options. Click on the Setup button on the overview screen. Then toggle on Business Card and/or Badge Scanning. 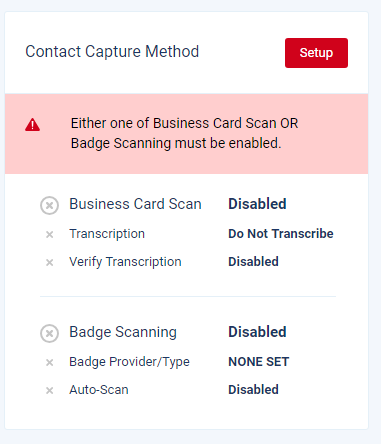 You have the options to enable/disable the business card transcription if you prefer and you can set the cards to be verified for each transcription. This requires you to view each card and submit the data before anything will process through the post capture actions (Integrations, Auto-reply Emails). 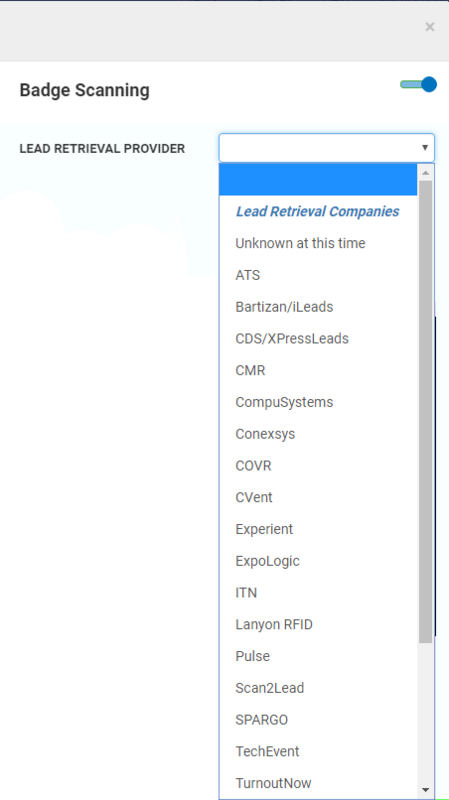 You will now select the Lead Retrieval Provider in the drop down menu here. When selecting your Lead Retrieval Provider you will be presented with the application options and settings for each. For example, CompuSystems offers a Real-Time API and a Post-Show Merge. Select the appropriate option that you have purchased. If you select the Real-Time API you will see what needs to be setup for this to work properly. 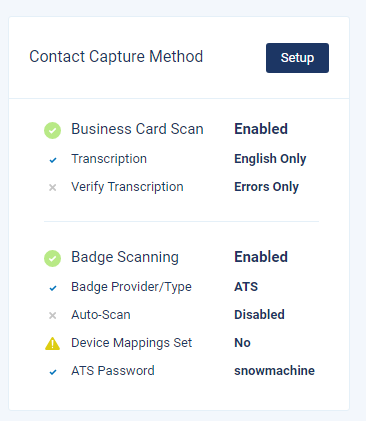 If you are unsure which badge to use or need iCapture to setup your badge mapping, select the "Other (not listed here)" option and provide the Badge Provider Name in the box. When you save the question a ticket will be created and someone from the Customer Success team will reach out to help finalize the setup. Once you have completed the setup, save the question. You can review what options are set on the Questionnaire Overview page. 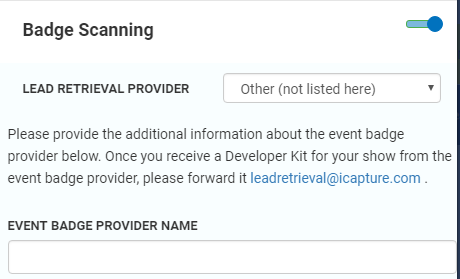 Please note that you will not be able to generate an install code until the Contact Capture Method has been setup.